In today’s competitive world, making a business successful is nothing less than fighting an ongoing battle. And to win this battle, the most important thing for any business is to know itself. There may be many players in the market, who have made a quality product, but not all of them are successful. The difference is in collecting business-related data and making use of this data to make effective strategic plans for the current and future market. This is where BI comes into the picture. Business Intelligence is collecting, organizing and presenting business data in such a way that it helps in making strategic plans and efficient decisions to help business accelerate. BI plays a vital role in the success of a business today. Businesses have to be fast in making decisions in order to prevent extra non-sell-able inventory, unnecessary spent on marketing and to converge focus on the best converting product lines. And to be fast, they need to be able to collect the consumer’s data quickly. 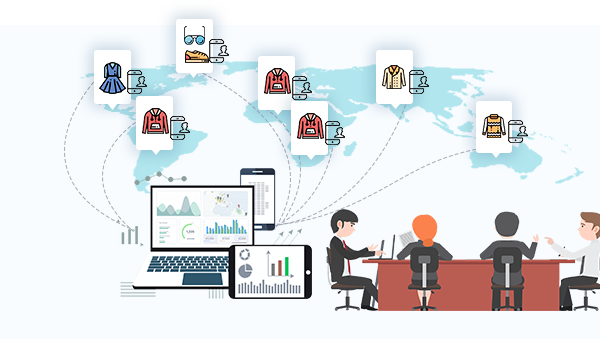 Collecting data in the offline world is not that easy for the manufacturers, they are usually dependent on the distributors and retailers, and the usual turn around time is around three to six months. The quality of data collected this way is not accurate, and the manufacturers lose out a very valuable part of their business. However with NeuroTags technology manufacturers can now collect offline consumer’s data in real-time. The technology is straightforward to use, economical with usually zero overhead and it can easily be integrated without affecting the current production cycle. The market usually responds very differently than the product maker’s expectations. The sooner manufacturers know the actual response of the market, the better improvements they can carry out in their products. NeuroTags helps to gain sales and marketing intelligence by collecting the customers’ data and making sense of this data. With the help of the data collected by NeuroTags, businesses get an insight into the overall performance of their product lines, as well as the demographic performance of the products. And based on this performance assessment businesses can decide, on what products and areas do they need to focus. NeuroTags lets you know the demographic performance of a product, consumers’ buying patterns, under-performing product lines, the effectiveness of marketing campaigns and so on. Since manufacturers get information about the product sales in real time through the tag scans, they can identify an underperforming product line in a shorter time frame. And stop/pause the production of that product or take other corrective actions based on company strategies. With the help of data gained through product scans, manufacturers get a fair idea of what type of products perform better and in what geo-locations. Lots of factors could affect the product performance, such as spending power of the people in a particular geo-location. So the brands can do marketing of their products accordingly. With the help of NeuroTags, brands can do A/B testing of marketing campaigns in a small city and choose the more effective campaign based on the response and replicate the most effective campaigns in all major cities. The simplest response indicator is a spike in the number of scans soon after the campaign goes live. To explain this, let’s take an example where after the launch of a product (of a particular brand) in the market, prospective buyers are only scanning the info tag and not buying the product. And when the brand starts giving some discount on the product, it starts getting a good response from the customers. This may indicate that customers like the product but they find it a bit overpriced. Whenever a customer scans the purchase tag, his/her contact information gets registered with the manufacturer. Thus the manufacturer can get the genuine feedback of the product from the registered customers, who actually bought the product. Brands can identify the potential uncaught manufacturing defects early on with the help of AI by analyzing the support tickets and then determining the affected pool of consumers. This helps in early recalling, preventing the sale of unsold defective inventory. Many times, a manufacturer does not manufacture all the parts used in a product. They get a few parts from other suppliers and sometimes offshore vendors. Since NeuroTags’ track and trace solution collects the data of all the parts and its suppliers. So, in case, the manufacturer starts getting lots of complaints related to a part in a particular model. The manufacturing company has all the suppliers’ data to track down the supplier who supplied the faulty part. As a result, the company can immediately stop taking parts from that supplier. The company also has all the data about sold and unsold products with this faulty part. So the steps to recall this product from the market can be started immediately. The company can also start offering the replacement of this faulty part to the customers and strengthen the customers’ trust in the company. Ultimately, a clear watch on your product lines from start to delivery and regular analysis of your customers’ behavior are keys to accelerate your business. NeuroTags technology and its digital solutions not only make these complex tasks easy to achieve but also make them cost-effective and simple to maintain.